This last two weeks I’ve been battling a cold, well primarily a very persistent cough. I usually stay away from over the counter medicine and ply myself with herbs (I have an amazing tonic that I mix with manuka honey), vitamins and honey lemon drinks. To no avail it seemed the cough was building itself a cosy nest inside my chest. I have this theory that even though I lead a very healthy lifestyle, every now and again I get sick, and its ok. Its one of the ways my body tells me to slow down. It usually doesn’t last very long and I can still go about my usual daily business, albeit a little bit slower. Its my body’s way of dropping into the microbes around it, and saying “hey just coming to check you guys out”! This way my immune system gets a software update and we are good to go again for another 6 months. Not this time though, this cough was needing some help to leave the nest. 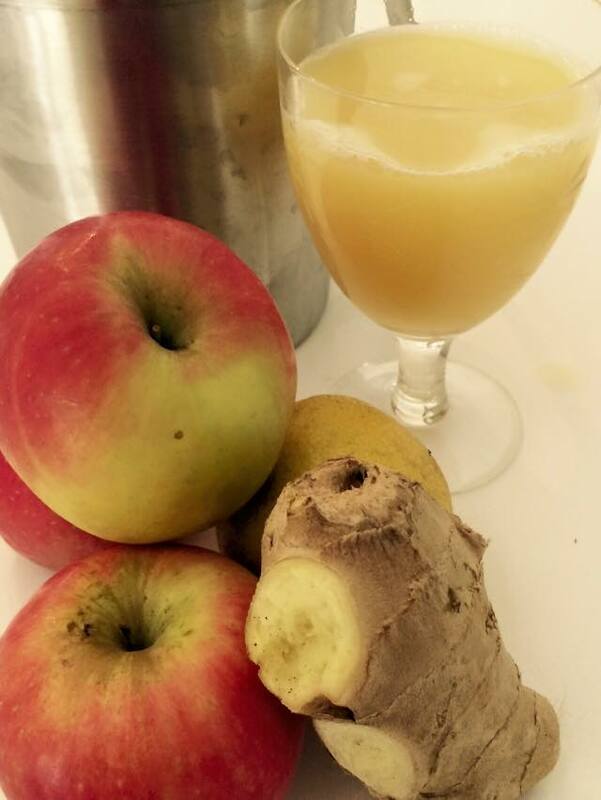 So A few days ago I thought I’d try to juice myself a really potent vitamin shot, naturally with some of my favourite ingredients: ginger root, lemon and apple. Apples are a good base for any juice and its also a natural immune system booster, Lemon is high in vitamin C and has natural antibiotic properties and Ginger is a natural decongestant and it reduces inflammation in coughs and colds. 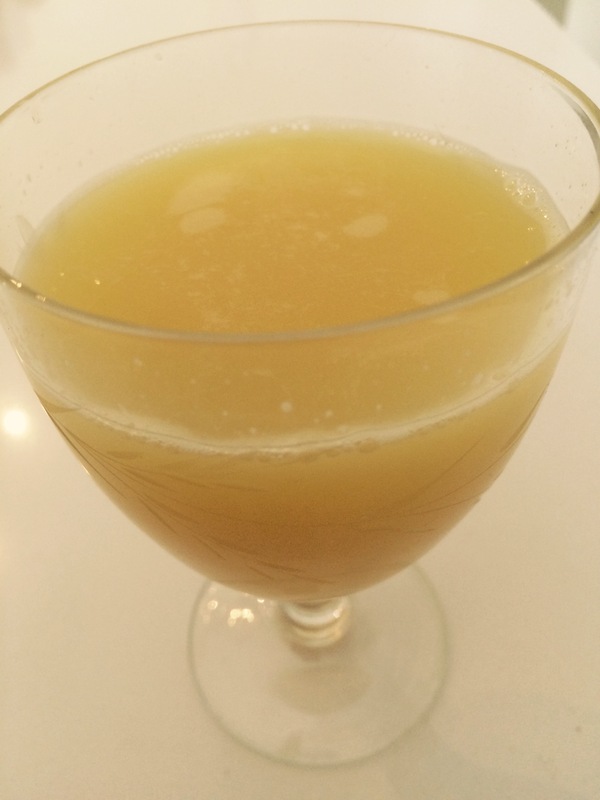 Enjoy this sweet, tangy and spicy drink, if you want you could add some honey. Curiously this is my second ginger based recipe in two weeks, but I’ve really learned to listen to my body over the years. So I know that if I crave something it’s for a good reason. Now of course you still have to practise discernment in this craving business, otherwise chocolates and chips would be on my plate rather too often. For me listening to the body goes beyond cravings or fad diets, it’s a deeper knowledge of knowing what works for your body. So ginger it is for now. Love the blog, great stuff. Thanks for sharing this recipe I will make this for me and the boys on the weekend.